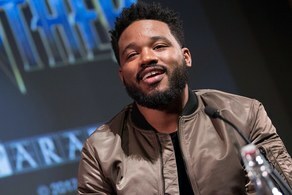 Ryan Coogler, the director of Black Panther is so overwhelmed by the excellent reception the film has received so far, the film was released this month to a massive reception at the box office, he is so thankful and not taking for granted the reception, he has taken out time to say "Thank You" on Twitter. 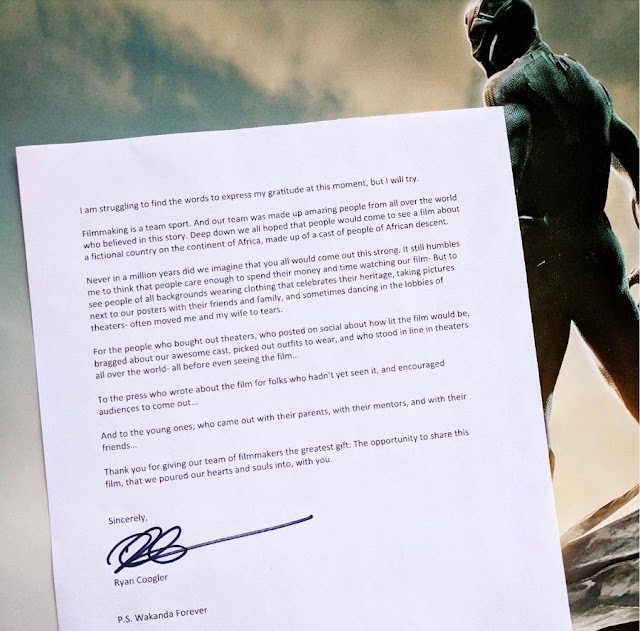 He thanked every single person up and down the totem pole who made Black Panther's success happen — and not just the ticket-holders infiltrating theaters all across the world. "For the people who bought out theaters, who posted on social about how lit the film would be, bragged about our awesome cast," he wrote, "picked out outfits to wear, and who stood in line in theaters all over the world, all before seeing the film...To the press who wrote about the film for folks who hadn't seen it, and encouraged audiences to come out...And to the young ones, who came out with their parents, with their mentors, and with their friends...Thank you for giving our team of filmmakers the great gift. The opportunity to share this film, that we poured our hearts and souls into, with you."